This may seem so late already haha. I wasn't able to post this on time on Tita Cory's burial last Aug. 5. 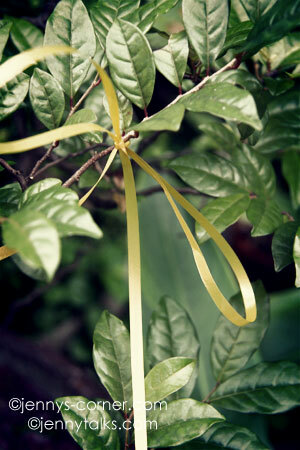 Anyway, just thought of sharing you all that I have tied an itty bitty ribbon on one of our plants here.